Online earning is the best way to make some bucks from home being your own boss. Online earning makes you independent and also teach a better way to manage your time. So online earning is very good option for full time students and housewife. Online earning indeed need some skills but you can earn some little bucks even without any high tech skills. There are some PPC (Pay per Click) or PTC (Pay to Click) jobs that you may do if you do not have technical skills. However to make some big income you need to have some technical or coding skills. If you are good at website designing or coding software and applications then there are plenty of opportunities for you to earn some heavy amounts through freelancing and other opportunities. The beauty of online earning lies in the way you work. There will be no one to force you like a boss and no need to go to the office everyday through that busy traffic and more significant is that you can stay with you beloved ones while working. There are many methods of online earning that I have discussed in this website check it out for more information about online earning. Online earning is not the matte of joke, you need a full determination to be successful in online earning. I have listed out some best website through which you can earn some decent bucks. I have also discussed the best the way to earn online from Google through Adsense which indeed help you to make some real bucks. 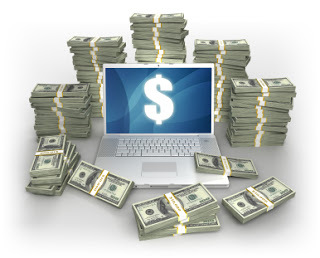 Online earning helps people to earn with enjoyment and this indeed help people a lot. Some people have bad intention and can harm you so you need to be bit careful while doing online jobs especially during transaction. Due to this of fraud people hesitate to do online jobs. There are many people earning their livings from online jobs and if you search the internet you will many success stories. The channel named Piewdiepie in YouTube is the best example of how much you can earn through online. Online earning can be your full time work if you are fully into it. You can be a content creator and writer articles for different website. You can be a freelancer and charge the client with fixed price or cost per hour. You can be Adsense partner with Google and earn by publishing advertisement in your creation. So there are plenty of ways to earn online and with the limited job offer out there, online earning can be the way to stop unemployment all over the world.